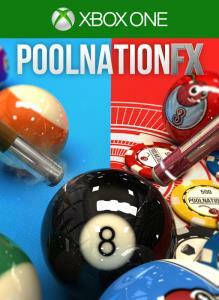 Pool Nation FX is the ultimate Pool Simulator for Xbox One®. Prepare yourself for pixel perfect physics, photo-realistic graphics and super detailed visuals in this truly immersive representation of the sport. Practice, spectate and play live matches seamlessly online, compete in Leagues, share, challenge and create epic trickshots within our exclusive Trickshot Editor, enrol in the Pool Nation Cup, explore our unique rule set customisation tool and re-discover this much-loved sport. 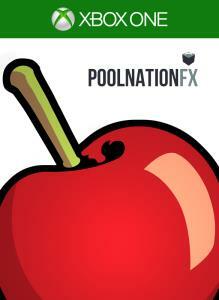 Pool Nation FX flawlessly blends reality with the impossible, resulting in the finest example of digital pool you will ever play. Pool Nation Snooker Bundle is the ultimate Pool and Snooker Simulator package for Xbox One®. Prepare yourself for pixel perfect physics and photo-realistic graphics. Snooker Nation is Snooker at is best, Play online and climb the global leaderboards. Practice, spectate and play live matches seamlessly online. A coin stack of 1,250,000 'Pool Nation Dollars' (PN$) to be spent as you please in 'Pool Nation FX'. Allows purchasing of cues, ball sets, table decals, venues and more! A coin stack of 115,000 'Pool Nation Dollars' (PN$) to be spent as you please in 'Pool Nation FX'. Allows purchasing of cues, ball sets, table decals, venues and more! A coin stack of 20,000 'Pool Nation Dollars' (PN$) to be spent as you please in 'Pool Nation FX'. Allows purchasing of cues, ball sets, table decals, venues and more! A coin stack of 300,000 'Pool Nation Dollars' (PN$) to be spent as you please in 'Pool Nation FX'. Allows purchasing of cues, ball sets, table decals, venues and more! 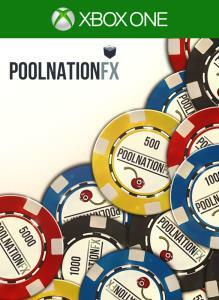 A coin stack of 60,000 'Pool Nation Dollars' (PN$) to be spent as you please in 'Pool Nation FX'. Allows purchasing of cues, ball sets, table decals, venues and more! A coin stack of 6000 'Pool Nation Dollars' (PN$) to be spent as you please in 'Pool Nation FX'. Allows purchasing of cues, ball sets, table decals, venues and more!